He had finished twirling and now he was jumping. Concentration, both knees bent, then a tiny flight in the air and a big thump forward. That’s a jump. Bend…up-thump! Bend…up-thump! He was still doing it, all round the room, and his cheeks were growing rosy from the effort. I don’t know why it’s so hard to teach metaphor to secondary school kids – my preschooler knows it instinctively. 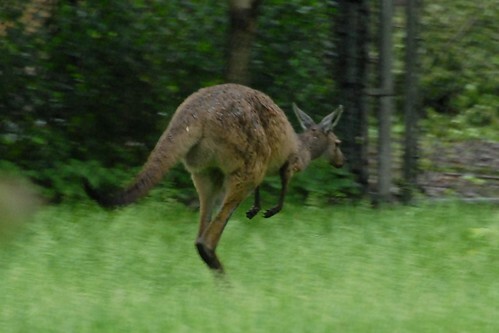 He doesn’t say, ‘look mummy, I’m like a kangaroo’ – he jumps therefore he is. The similes, they come later, along with the self-doubt. The metaphor, the transformation, that’s instinctive. It’s there at the beginning. It is a freeing and terrifying thought, that if you do, you are. Perhaps that makes me a writer. 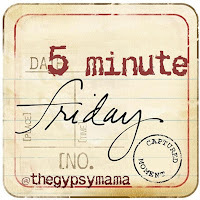 Joining with Lisa-Jo Baker for Five-minute-Friday. This was my best five minutes on ‘jump’. “If you do, you are.” What would it excite you to say you are, if you follow this logic? Yay! I’m so glad you joined up today! I think my boy would love this… Though I’m not sure I’d want him to emulate it! Thanks, Eileen – nice to see you on here again! Oh, you have a sweet boy. Mine used to climb up lamp poles that had that bend on top and then call me to come and check out their bravery. I remember calling my husband at work telling him to phone the fire brigade to come and get them off. He only replied that if they were able to get up, they were able to get down as well! Boys, such hooligans!!! Hoping I haven’t got that to come…! Thanks, Denise – I really appreciate that! It’s always easier to believe in others, isn’t it? Thanks for always believing in me. And I LOVED your fmf post today, lady! I love the innocence children bring with them, that feeling that they can do anything they want to. My little girl often shouts “I’m flying” even when her feet are flat on the ground. It’s the belief that we can do anything we want to…when do we lose that? Imagine how amazing the world would be if people never had a moment of self doubt? Thank you for writing this, it’s made me stop and think today. I love that picture of your little girl declaring she’s flying! It is – that, exactly – that confidence that I wanna get. Thanks so much for stopping by and for feeling it with me!